Ghana’s presidential election may be delayed by a month, the head of the country’s electoral body has said, after wranglings over voter registration. Nationwide polls in which President John Dramani Mahama is seeking re-election were scheduled to be held on November 7 — a month earlier than initially planned. But the director of electoral services at the Electoral Commission of Ghana, Samuel Tettey, said the election could be on either date. “In case 7th November goes through we can go by it. If not and it’s 7th December, we can go by that,” he told a news conference in the capital, Accra, on Wednesday. The lack of clarity over a date comes after 56,000 names were deleted from the electoral register after individuals used national health insurance scheme cards as proof of identity. 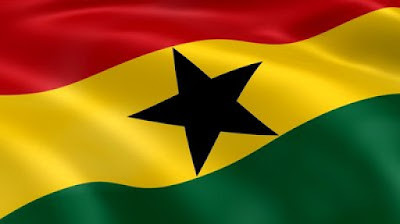 Ghana’s political opposition had complained of possible fraud, as health insurance card holders do not necessarily have to be Ghanaian citizens. The New Patriotic Party (NPP), which is looking to unseat Mahama after five years in office, complained the register was bloated with names of foreigners and minors. The Supreme Court was asked to rule on the matter and last week ordered the 56,000 names to be expunged. Chief Justice Georgina Wood said the register in its current form was “reasonably inaccurate”. Re-registration of those affected will begin on Monday and last for 10 days, Tettey told reporters.